Amazing Kids! Magazine is proud to announce that the 2015 Summer Fiction Contest is now open for submissions! With school out, we thought it would be fun to have a contest that picks the best excuses for not being able to turn in your homework at school. We are looking for funny, creative, and unique stories about something that happened the night before that made turning in your homework impossible. Let your imaginations soar! This contest is open to kids all around the world in ages 7 – 15. We have split the categories into the following age groups: 7 – 9, 10 – 11, 12 – 14, and 15 – 18. 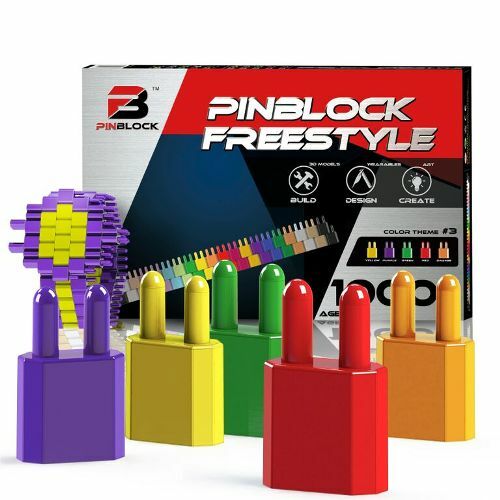 One winner will be chosen in each category to win a Pinblock bulding system worth $54.99 along with an official certificate verifying their winning entry and publication in the Amazing Kids! Magazine. Submit all entries by AUGUST 1st at midnight PST to be considered! Please look below for rules and regulations – if your entry does not comply with our rules, it will not be considered in the contest! Email editor@amazing-kids.org if you have any questions about the rules or the contest in general. A. Stories should be written in English, with submissions of up to 1,500 words. Stories exceeding this length will not be considered. Submit your entry as a Microsoft Word document. You may include drawings or pictures with your story but they will NOT be considered during judging. A. E-mail your submission to editor@amazing-kids.org. Q, Can I choose to remain anonymous? A. The winners will be announced on the contest page starting September 1st. A. No. A separate prize will be given out to the winners of each age group with a value of $54.99 (see description below). Winner Certificates will also be provided to the winners and their story will be published in an issue of Amazing Kids! Magazine. A. A fabulous new building system called Pinblock. The Pinblock Builder Freestyle box is perfect for the creative builder with 1000 pieces to build, design, and create imaginative projects. This set has 5 different colors to challenge your creativity. The flexibility of the Pinblocks allows you to move beyond very rigid, fixed construction designs. If you think you might be the inventor of the future, then this set is for you. It is educational and perfect for STEM development because you can make 3D models, design wearables, and create art! Each piece is made with high grade ABS-15A1 plastic, ASTM F963-11 tested by Intertek for safety. Can I use other documents instead of Microsoft Word if I don’t have that on my computer.